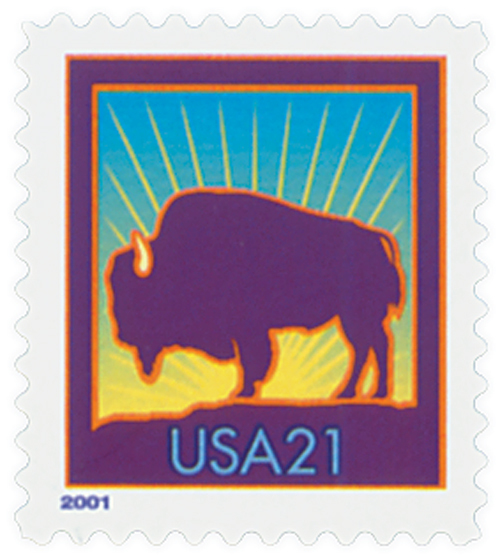 This Fleetwood First Day Cover features a 21¢ Bison stamp from a self-adhesive booklet of 10. 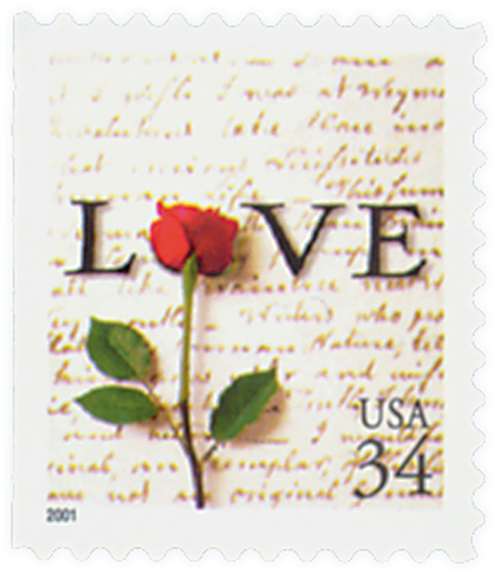 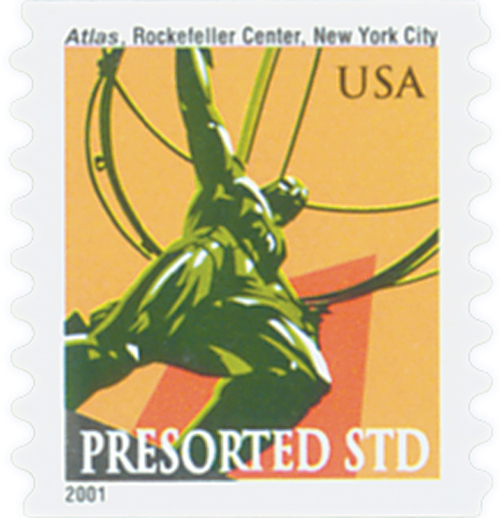 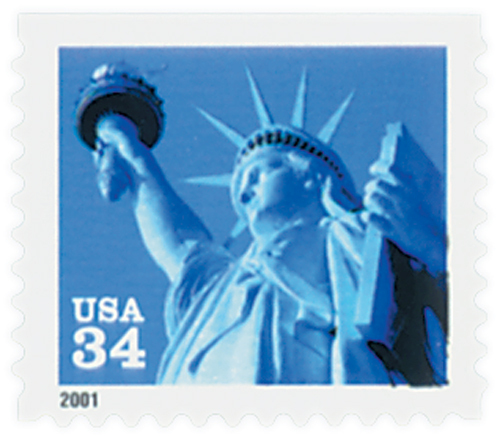 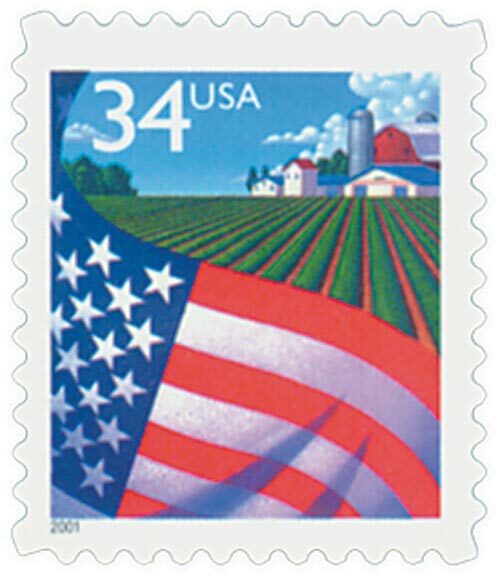 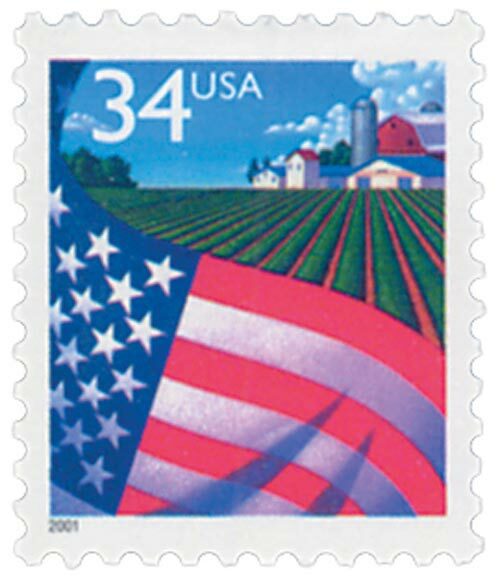 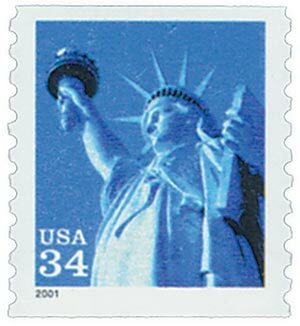 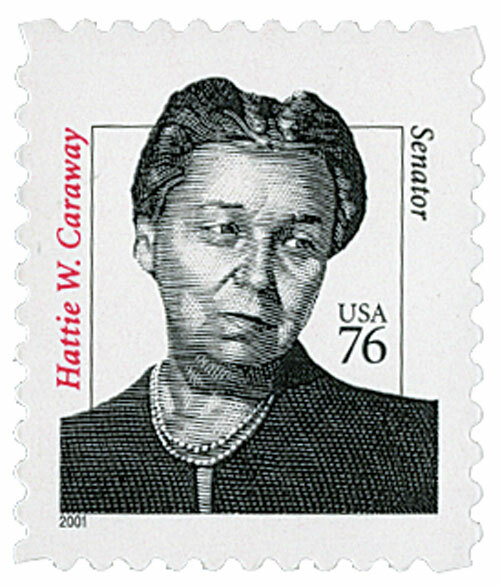 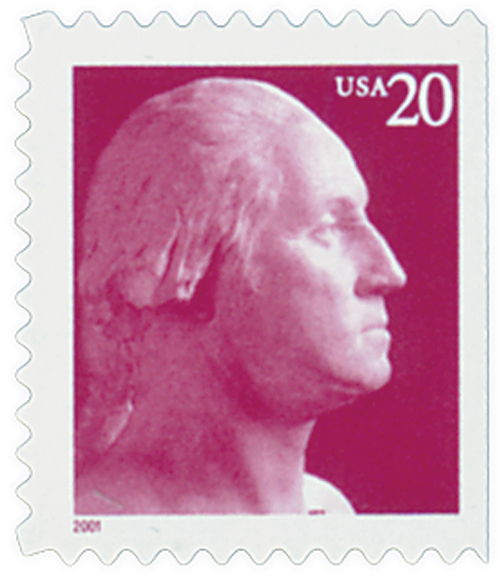 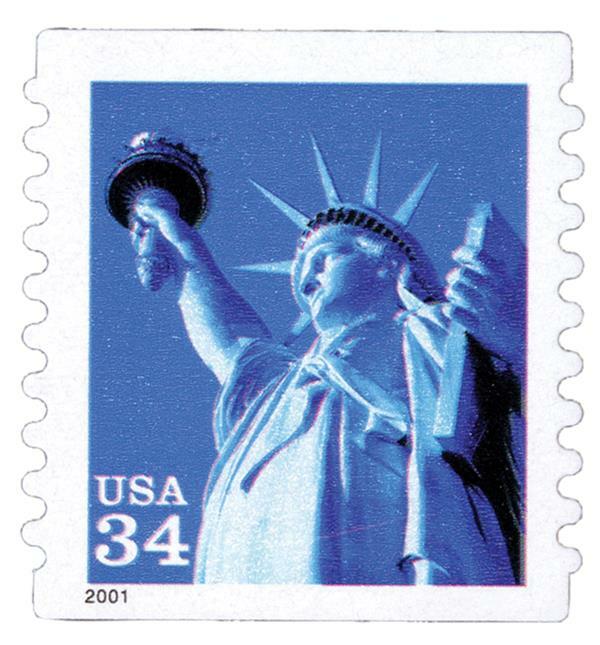 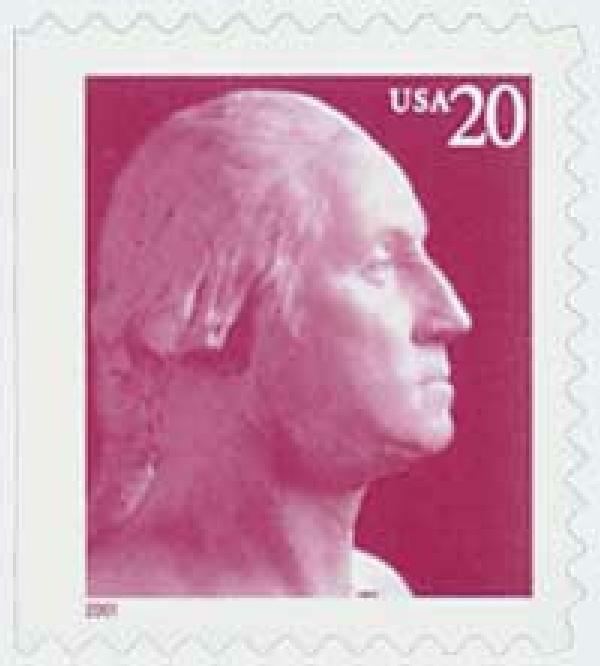 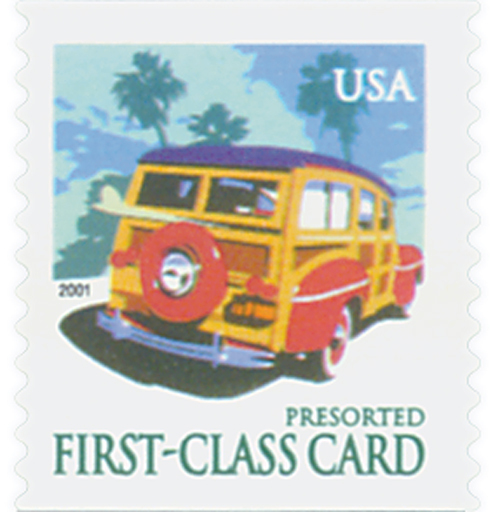 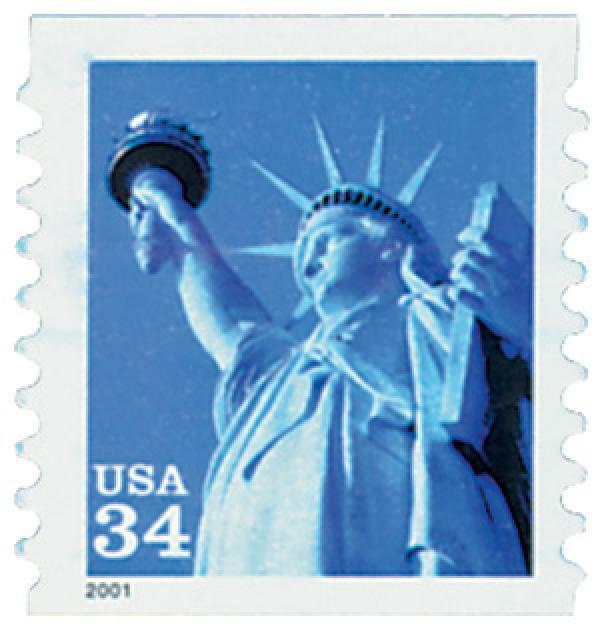 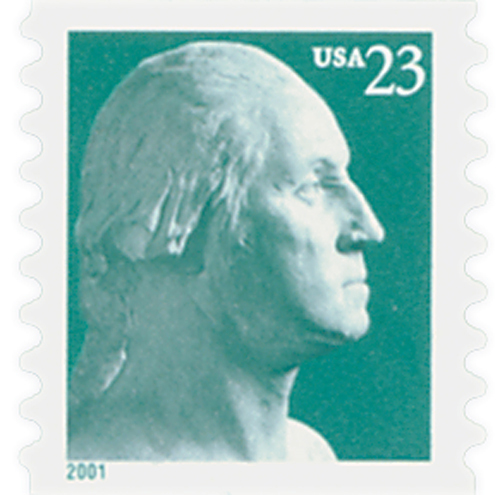 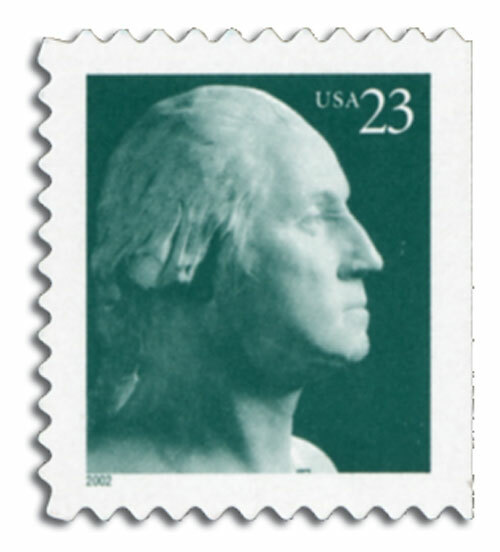 The stamp was issued to cover each additional ounce of first-class mail above the first ounce. 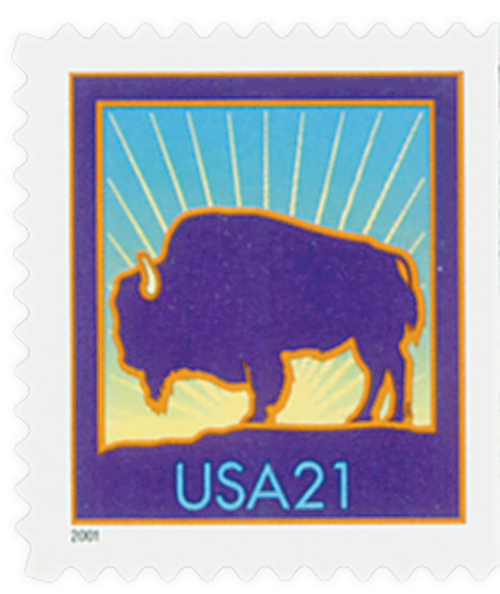 Native Americans hunted huge herds of bison on the Plains thousands of years before European Americans settled there. 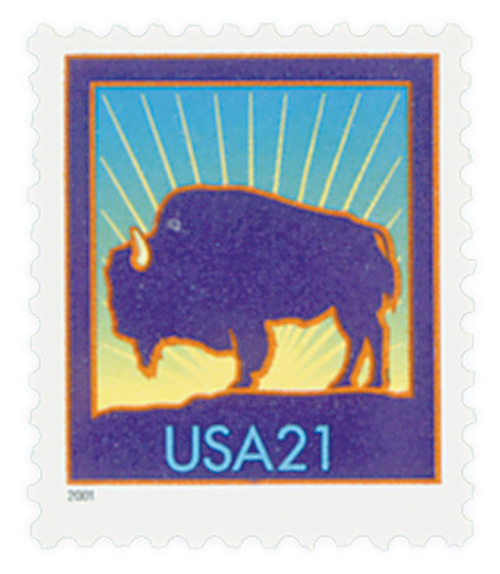 In the 1870s, cattle ranchers spread into the Plains, railroads were built, and millions of bison were slaughtered. 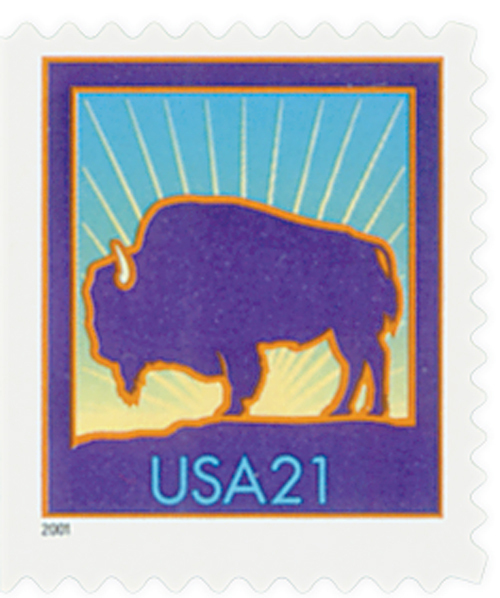 Conservation efforts have brought the bison back from near extinction. 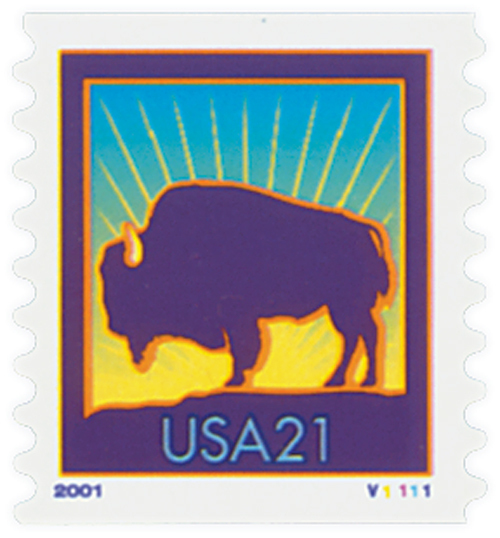 The design for this stamp is a bison silhouetted by the sun on the horizon.